If you’re hosting a large premium event at some point you’ll have to think about security. Way back when the usual method was to use a security firm and entry tickets but event goers would often lose or damage the tickets so wristbands of varying types were introduced. 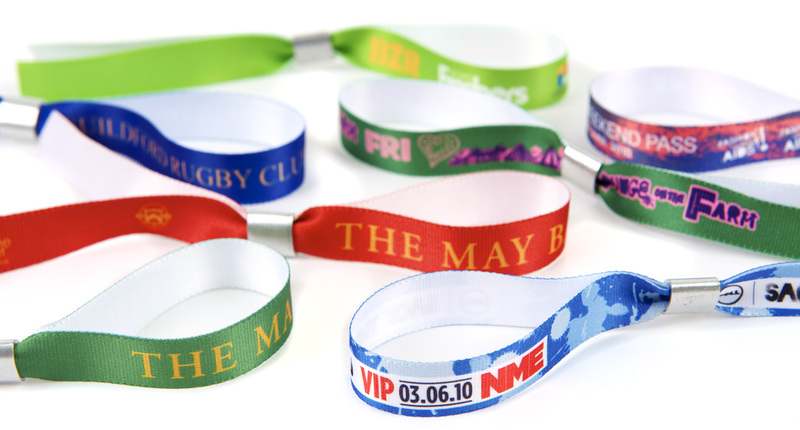 Using fabric wristbands for event security can offer the promoter a range of benefits from streamlining entry and re-entry to custom messaging and the fact they are made from hard wearing materials. Every time served event organiser has long since realised just how much more streamlined their event security and management has become since using them. Not just that but it’s also possible to sell branding space on the wristbands and re-coup at least the cost of having them produced for the event. All these benefits combined shows just why fabric wristbands have become so popular for event entry security and management. When the event finishes the attendee is free to keep the fabric wristbands on their wrist as many young people do and wear it as a memento and the more mature event goer will usually take it off and put it in the drawer as a keepsake. Market forces being what they are it stands to market reason that there will be various different requirements inside any deliverable. Fabric event wristbands are no different and have evolved into a multitude of variations. In a lot of instances you can actually request the fabric is coloured using a specific pantone swatch and similarly so with any screen printed branding. This makes them an even more attractive option of event organisers and you can brand them perfectly to match your event branding or company livery. As already mentioned, most are produced from woven polyester which is the most popular and flexible variety of wristbands for events security. They usually come with a tamper proof aluminium clip for secure fitting although may differ from vendor to vendor. They can also be barcoded for scanning people through the doors much more quickly and can even have RFID chips implanted into them in a similar way to oyster cards on the London Underground. This can make counterfeiting virtually impossible as each wristband is monitored inside a computer system. The fabric material itself is usually manufactured from high quality, woven polyester strands and can be produced in a single colour, multi-coloured or a range of patterns. The branding is often screen printed onto the wristband fabric in very much the same way lanyards are customised and is easily durable for the length of the event and longer.